Park & Madison candles use all natural soy wax and unique blends of essential and fragrance oil. Made in small batches of 8 or less and hand poured with love. 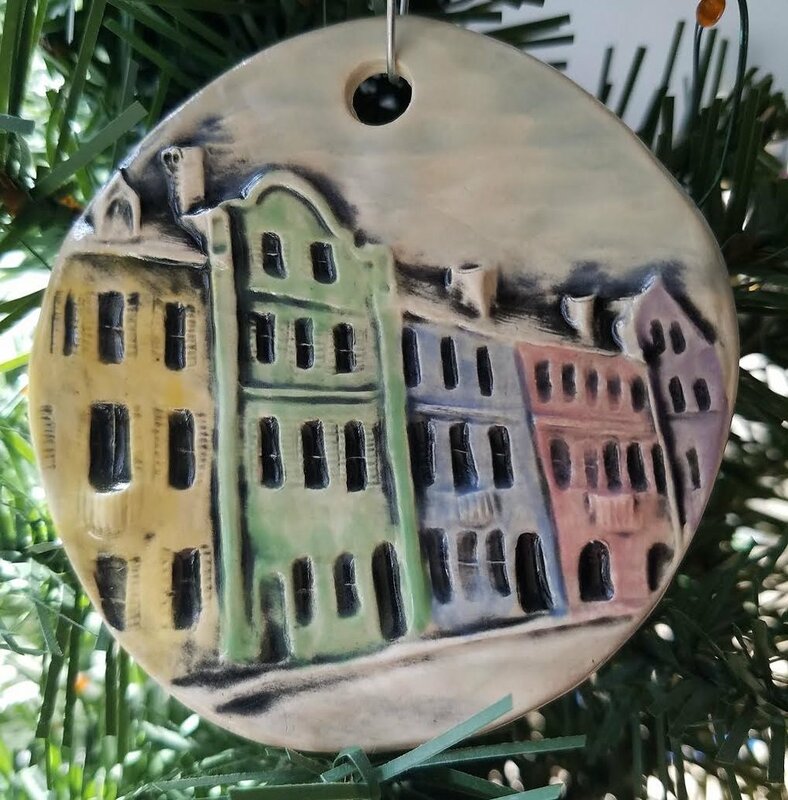 Joshua Riddle is an artist and owner of Anchor Down Art in Charleston SC. His work has been described as truthful, Americana, rustic Low Country from the soul. Beaded Venus Designs.. Creating with a curiosity for the ancient, obscure and meaningful object. Local conservationist, naturalist, photographer and film maker Jonathan Cummings shares his nature photography as well as his expertise with us. Jessica Long creates a variety of work from gorgeous electroformed jewelry to hammered metal and seed beading work. Just as the birch tree prepares itself for the exfoliating process, shedding it’s outer bark to begin again, so must we strive to improve ourselves in mind, body & spirit. 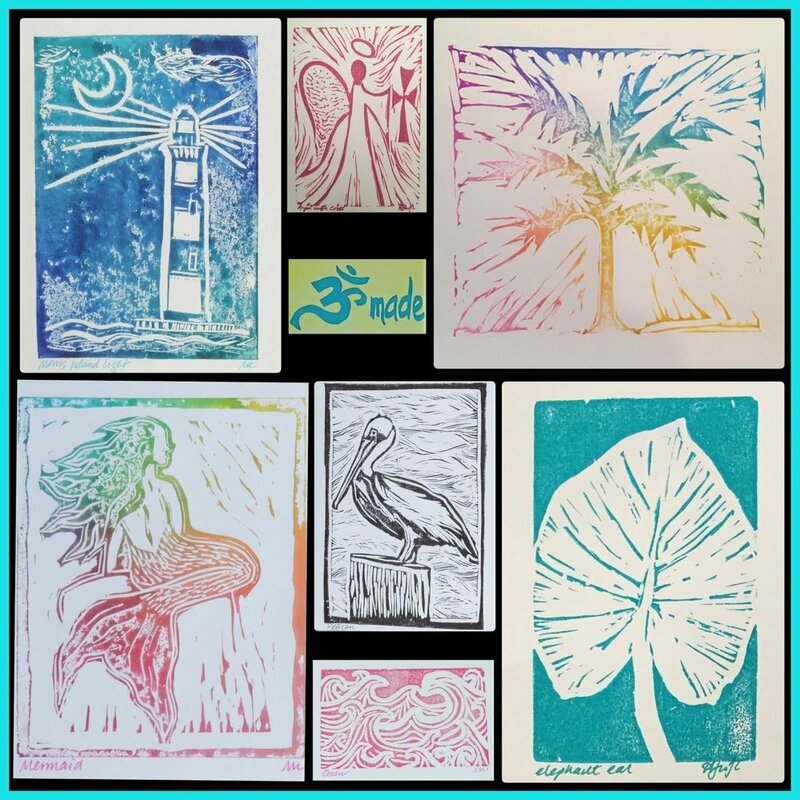 Michelle Lee carves linoleum block designs and creates hand-stamped cards and prints. 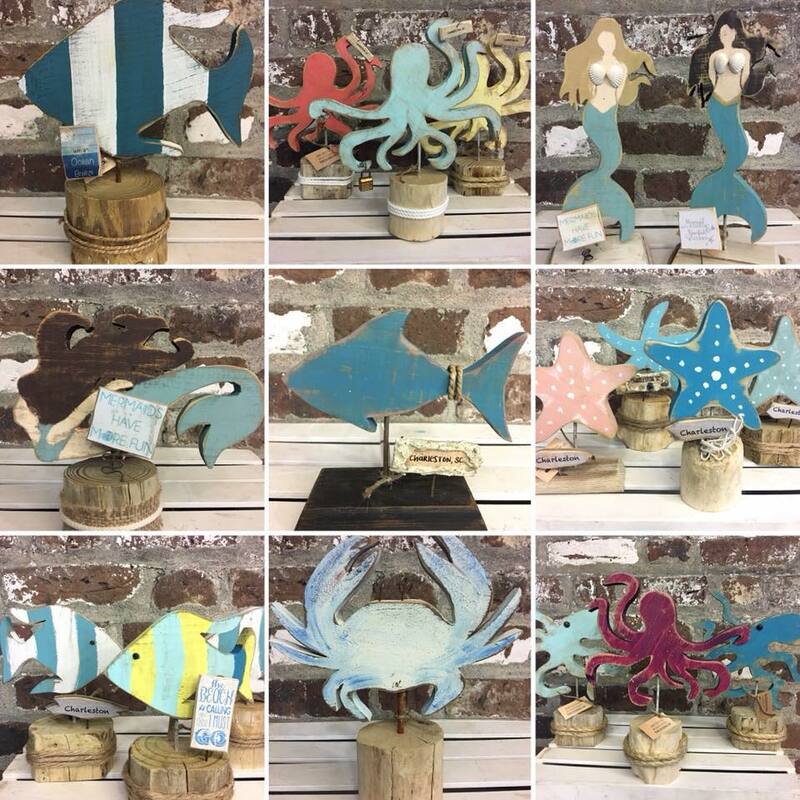 Unique primitive coastal decor made from reclaimed wood & natural drift wood. Starfish, mermaids, seaturtles, sharks, fish, coastal birds, octopus and more. Drew Anderson is a collector of records! Records are timeless and Drew can help you add to your collection! Find him every other week at the FBFM. The jewelry side of creations by Casey Childs of Wolfpack Craft. 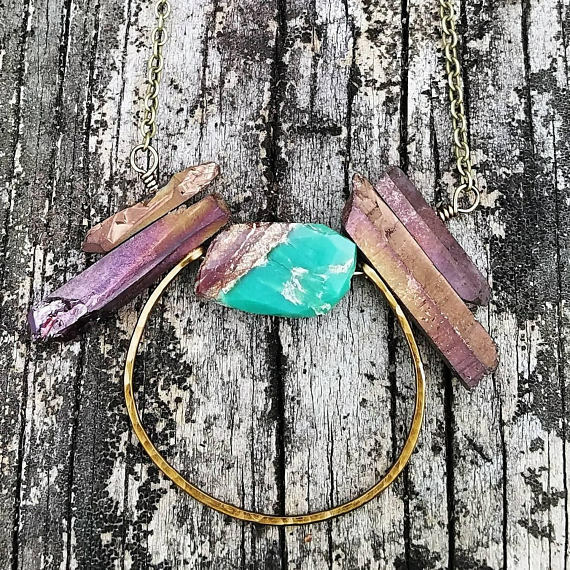 Gemstone and hammered metal jewelry made with love in Charleston SC. Ann Slaughter brings us a beautiful variety of Fair Trade products from families she personally work with. Clothing, bags and jewelry made with love, delivered to us with love. Krista Allison creates etched glasses and mugs from recycled wine bottles. She uses her art to upcycle trash, turning it into a purposeful treasure. Live painter, heart artist.. Leslie shines LIGHT and LOVE in this world through her creativity.